All my Pictures of this years Fortune 700 are located here... You can take them, cross post them, please just give me credit when possible. Thanks. What I expected to be a "chill" 40 mile ride to Pasadena Rose Bowl, for the Fortune 700, and back turned out to be an epic all day event. Michael from, "ClaremontCyclist.Blogspot.com", Kevin and I rode to Pasadena on Saturday. We arrived there about 15 minutes late but the organizers were still staging racers for the Team Time Trials. The Fortune 700 is an all fixed, all the time, race. This year it consisted of two events. The first was a Team Time Trial that consisted of three 3.3 mile loops around the rose bowl. The second was a 20 mile crit. 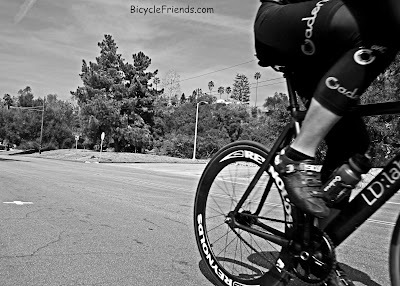 The TTT was fast and furious as racers made their way around the Rose Bowl. Some teams made good use of their energy, trading off pulls, while others had significant gaps between them. It took awhile for the Crit to get underway. Between the TTT and Crit, I spoke with a few racers. The gearing of choice was 48 x 16 for both events. 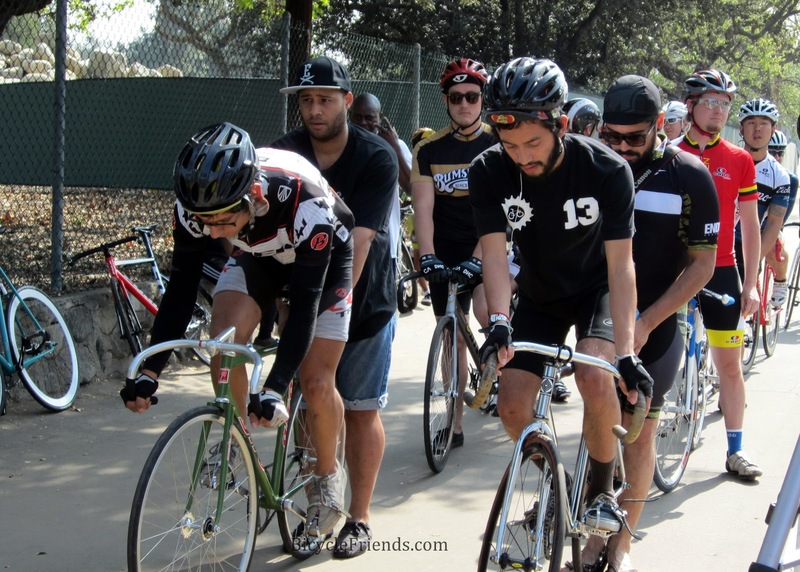 There was quite a diverse field of racers including; crit racers, tracks stars, urban street racers, a father son duo and even Dorothy Wong of So Cal Cross was there representing. It was a beautiful day, mid 80s, sunny, with a slight breeze. The atmosphere was friendly and very relaxed. Unlike some road races I've attended, spectators and racers were very friendly and talkative.